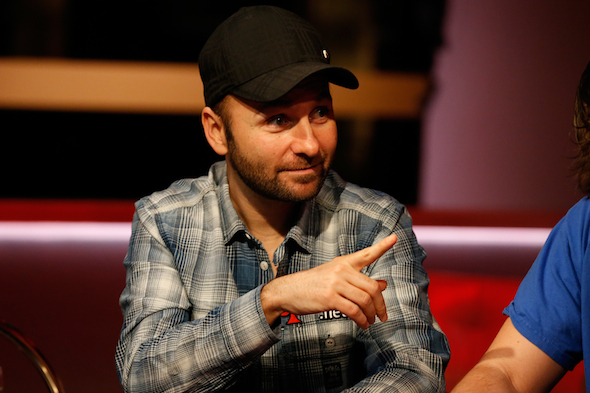 Daniel Negreanu may be on the nominee short list himself this year, but when the latest Poker Hall of Fame finalists were unveiled this week, it caused an unexpected uproar from “Kid Poker” and certain members of the poker pro community. As word of the top 1o nominees filtered through the industry’s airwaves, Daniel Negreanu and Erik Seidel decided to offer critiques of the current voting process. Should age matter? Just because Chris Bjorin is 66 years old, does that mean he should be thought of ahead of John Juanda (43) when the latter has better poker credentials? Negreanu doesn’t believe it should matter, and argued that the current age restrictions shouldn’t be an influence on the way people vote. Negreanu was critical of Tom McEvoy’s induction into the Poker Hall of Fame last year, because he felt that, despite being a nice guy, he wasn’t the most qualified candidate. Although he believes everyone should act accordingly at the table, he stated in his latest blog that someone shouldn’t make the shortlist just because they are a nice person. He also feels that, regardless of a player’s off-the-felt contributions, the only thing that should get a player into the Hall of Fame is their skills at the table. While Negreanu applauds Bruno Fitoussi for helping to make poker a global game, he doesn’t believe that should influence whether he gets inducted or not (he’s on this year’s shortlist). Of course, a player shouldn’t be actively working against the game, either. However, just because he hasn’t been a martyr, that shouldn’t be a reason not to put him in. In line with Negreanu’s piece, Erik Seidel joined the debate by tweeting that a public vote shouldn’t be the only way to select Hall of Fame prospects. Although he believes the public should have a say, he feels those with an inside knowledge of the game should also have an influence on the outcome. Additionally, in a similar way to Negreanu, Seidel tweeted that Gus Hansen, John Juanda, Carlos Mortensen and Bobby Hoff are all notable figures that have been excluded from this year’s list. According to Seidel, not only has each player achieved great things at the felt, but they’ve contributed to the growth of poker. When it comes to Hansen, Juanda and Mortensen, all three could be hailed as the pioneers of the game, and the WPT in particular, due to their dominance during its early seasons. Hansen notably built up a reputation as a wild man and subsequently spawned a new generation of tournament players. Soon after Negreanu and Seidel published their thoughts, Phil Hellmuth chimed in to lend his support. Agreeing that all four suggestions should have at least been considered this year, the Poker Brat’s tweet was additionally supported by a string of retweets. Although it’s too late to change this year’s results, the influence of players such as Negreanu, Seidel and Hellmuth could force a change to the voting process for next year.